The 2019 Bridge to S.U.C.C.E.S.S. Fundraising Raffle is back once again! Proceeds from the raffle will provide funding for essential S.U.C.C.E.S.S. programs and services. Tickets are available for $2 each or in books of 10 for $20. Buy your tickets now! The 2019 Bridge to S.U.C.C.E.S.S. Gala will be taking place on Saturday Match 16, 2019. Join over 800 distinguished guests for an evening of fine dining and lively entertainment, and help us reach out fundraising goal of $500,000. Click below for more information on the gala and where to purchase tickets. With over 30 years of history, the annual Walk with the Dragon has a reputation of being one of BC's largest family events. Each year, over 6,000 individuals participate in a 3km or 7km panoramic walk along the seawall of Stanley Park. The 2018 Centred Developments S.U.C.C.E.S.S. 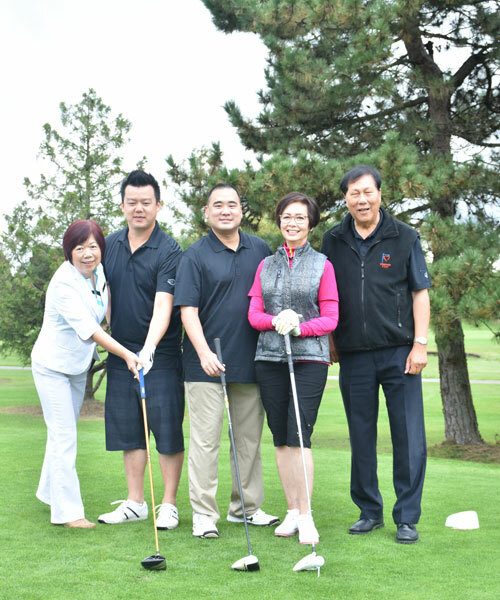 Foundation Charity Golf Tournament took place on Thursday, September 6, 2018 at Mayfair Lakes Golf & Country Club, raising more than $122,000! Since the tournament began in 2005, over $1 million has been raised to support important services and programs at S.U.C.C.E.S.S. that lack sufficient funding for those in need in the Metro Vancouver communities. We are pleased to announce thahe Mario Cordero Charity Concert successfully took place on Friday August 17, 2018 and Saturday, August 18, 2018 at the River Rock Show Theater, raising $110,000! Proceeds from the concert will go towards funding for essential S.U.C.C.E.S.S. programs and services. S.U.C.C.E.S.S. Foundation is grateful to have many caring individuals and community groups raise money for our essential programs and services. Many of them develop their own creative way to fundraise, which includes everything from charity concerts to garage sale. To support the community click here. We sincerely appeal to you to donate to the Endowment Fund. The Fund’s income will be used to support our charitable services. Your donation will benefit individuals, families and the community for years to come.